Moderation and consistency are good things, but not everyone can sleep 8 hours, eat 3 nice meals, and drink lot of water a day. One can still control acne despite one&apos;s frantic and erratic routine. Probably the most useful lifestyle changing advice one can make is to never to pick or squeeze pimples. Popping pimples, no matter how carefully and cleanly it is done, nearly always makes pimple bumps stay redder and bumpier longer. People often think of redness as "scarring" in long term but fortunately, it usually is not permanent. It&apos;s just a mark that might take months to fade if left entirely alone. Occasional visits to an esthetician, an expert at safely removing blackheads during a facial can be beneficial. Despite what one might find in popular style and fashion magazines, there is no such magic product that can be right for every person and situation. Mild cleansers: Washing face once or twice a day with a mild cleansing bar or liquid (for example, Dove, Neutrogena, Basis, and Cetaphil are all low-cost and popular) keeps the skin clean and reduces sensitivity and irritation. Exfoliating cleansers and masks: A number of mild scrubs, exfoliants, and masks can be used regularly. They may contain salicylic acid in a concentration which makes it a very mild peeling agent. These products tend to remove the outer layer of the skin and further open up the pores. Retinol: One should not confuse this with the prescription medication Retin-A, this derived form of vitamin-A can help promote skin peeling. Antibacterial cleansers: The most easily available ingredient in over-the-counter antibacterial cleansers is benzoyl peroxide. Topical applications: Antibacterial cleansers are available in the form of creams, gels and lotions that are applied to the affected area. The active ingredients that eliminate surface bacteria are benzoyl peroxide, sulfur, and resorcinol. 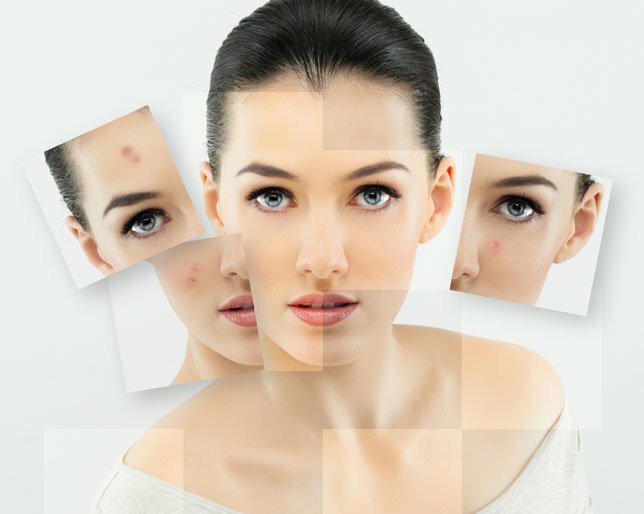 Benzoyl peroxide leads to red and scaly skin irritation in a small number of people, which usually goes away as soon as one stops using the product. The fact to be kept in mind that benzoyl peroxide is a bleach, so products containing benzoyl peroxide if let to come into contact with fabrics, can leave unsightly white spots on colored clothes, shirts and towels. We cannot stop oil glands from producing oil. Even isotretinoin only slows down oil glands for a while; they tend to resume normal activity later. It is possible to eliminate oil on the surface of the skin and decrease the appearance of shine. Use a gentle toner to wipe away oil. Masks containing sulfur like ingredients extract out facial oil. Antibacterial pads or napkins containing benzoyl peroxide aids in wiping away oil.